Do you or does someone you love suffer from Test Anxiety? Does your heart beat fast when you sit down to take an exam? Do you have trouble sleeping before your exam? Does your stomach become upset before or during a test? Are you so afraid of doing poorly that you can’t concentrate on the test questions? Do you perform well on practice exams, but choke during the real test? Do you put a lot of pressure on yourself to succeed? Do you suffer from anxiety when faced with other challenges? In order to excel at exams, you need to be relaxed, focused and confident. And that’s exactly what this CD program will teach you to do. 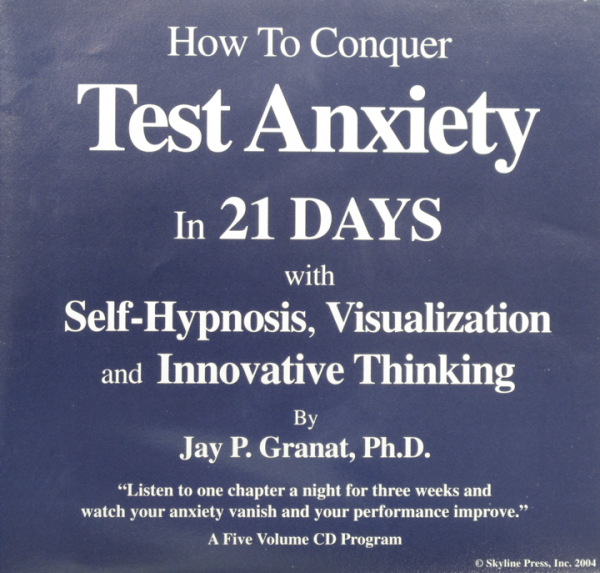 Listen to one chapter a night and you will learn how to “test in the zone” and overcome test anxiety. Whether you’re preparing for SAT, LCAT, GMAT, Mid-term or final exams, each simple exercise will help you get into the right state of mind prior to the exam and during the exam. These simple techniques have been used to help thousands of people who suffer with test anxiety. 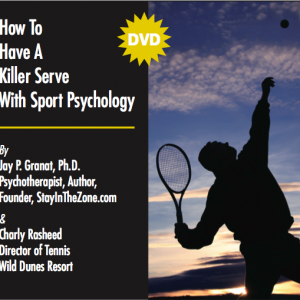 Many of these methods have been used successfully by world class athletes who must be relaxed, confident and focused when the pressure is on. Remember, test anxiety can prevent you from having the kind of career you deserve. Frequently, people who are very bright fail to achieve their fullest potential because they simply get too nervous when they face exams. So, if you want to help yourself or your child to take control of test anxiety, get this program now. 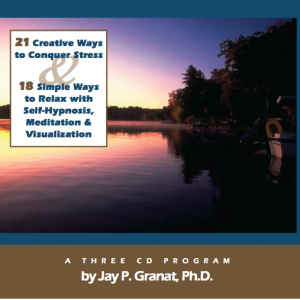 Jay P.Granat, Ph.D. is a psycho-therapist with 24 years of clinical experience. He has treated hundreds of people with test anxiety and performance anxiety. The founder of StayInTheZone.com, his clients have included world class athletes, super achievers and some of America’s largest corporations. A former university professor and Past Vice-President of The New York Society For Ericksonian Psychotherapy and Hypnosis, Dr. Granat has written and lectured extensively on anxiety management and performance enhancement. If you have any questions about the program or how Dr. Granat can help you, please contact him at info@stayinthezone.com or call him at 800 336 7435.